The 24five Zone in Frances Harvey Green Library will be open 24 hours, 5 days a week from September 17th through December 14th from 12 noon on Sundays through 6pm on Fridays. Students will have access to computers, printers, and scanners, as well as plenty of seats. Be sure to have your RAMCard with you. The 24five Zone will only be open to current students and you will be required to present your valid ID to enter. 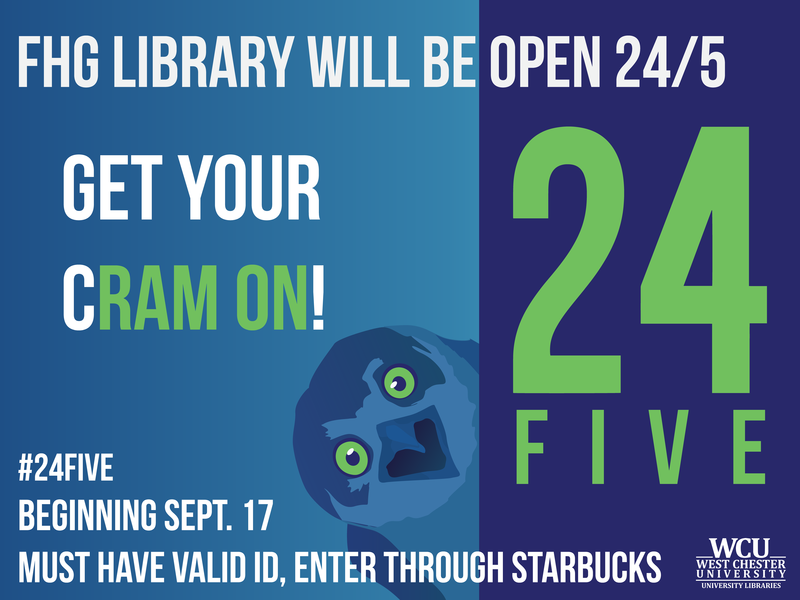 Students should enter the 24five Zone through the Starbucks on the first floor. As always your feedback is very important to us. Tell us what you think, tweet @FHGLibrary #24five!